Substance abuse including illicit drugs, alcohol, and tobacco cost the USA, more than $740 billion annually. The National Institute on Drug Abuse (NIH) includes crime, lost productivity and health care costs in this figure. The price of drug and alcohol addiction is paid for everywhere, including here in Athens, Georgia. When someone is trying to recover from an addiction, they are going to face a lot of challenges along the way. 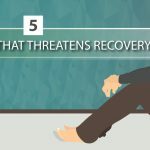 If you know and love people who are recovering addicts who are starting the recovery process, here are 9 common challenges they’ll face. Read this guide so you can be prepared to help them conquer the challenges. Drugs or alcohol often act as a crutch for people suffering from an addiction. Emotional issues are medicated away by using drugs or alcohol. During rehabilitation, this crutch is removed. The recovering addict has to deal with several emotional challenges. They may be feelings of shame or embarrassment about substance abuse. They may be relationship issues caused by the substance abuse. The emotional issues may pre-date the substance abuse and may have contributed to the persons take up of drugs or alcohol. Handling these emotions can be difficult. They can take time, effort, and courage to get through. Therapists will focus on building capability and confidence in handling these issues. Friends and family can help by recognizing this challenge and being supportive. With increasing success, confidence can grow. It is not unusual for a recovering addict to have a relapse. The craving for alcohol or drugs can feel irresistible. This can lead to stress and anxiety which seems only to be relieved by a return to the addiction. A relapse can feel like a failure. Going back to square one. Starting all over again. This is not the case. The rehabilitation process includes building a support system of mentors and peers. That network is still in place and can be used to help return from a relapse to continued recovery. Rehabilitation is partly about building the life skills and healthy behaviors to support recovery. Some aspects of addiction are rooted in unhelpful behaviors and habits. Associating with other people suffering from addiction is one way in which addicts normalize their behavior. Sharing a bottle or a smoke becomes part of the habit. When old associates or the old lifestyle interrupt the recovery process, resistance is difficult. This is when the skills learned in rehabilitation come in useful. The effect of substance abuse is often to damage relationships with family and friends. Facing up to the impact on others of drug addiction is part of recovery. This can be a challenge, especially if friends and family don’t respond positively. Making amends with friends and family helps mark the break with past destructive behaviors. It can take some persistence and patience. 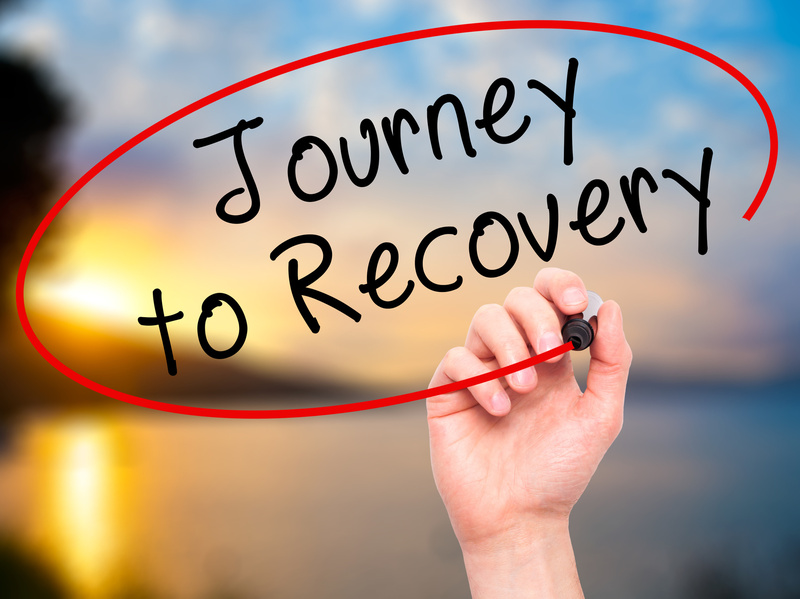 The recovery process is not simple for the people around the addict. When substance abuse becomes the whole purpose of daily activity making and maintaining relationships can become unimportant. The drug or the drink is all that is important. The recovering addict is encouraged to make a new network of relationships. These relationships with peers are an important part of the rehabilitation support network. Learning how to communicate and trust these people can be a challenge. The relationship is one of mutual support so giving support is as important as receiving it. Being there for somebody else is a responsibility a recovering addict can find very strange. The new experience can be worrying, difficult, and rewarding at the same time. Establishing a wide network of friendship, support, and even love is part of the recovery process. The rehabilitation process involves learning to use new coping strategies. These strategies help manage stress and the cravings for drugs or alcohol. Like learning any new skill, this can be difficult at first. The coping strategies learned in rehabilitation become the new “normal”. This takes practice and effort. They have to become habitual. Counselors and therapists may be on hand to support the change. Having a supportive environment is also useful. Help with encouragement and take an interest in the strategies they are practicing. Drugs or alcohol are a big part of the addict’s life. There can be little time to think about anything else. Hobbies and relationships get in the way of the obsession with satisfying the craving. During recovery, the daily routine may be more healthy but big gaps can open up in the recovering addict’s life. This can be a danger if boredom leads to a relapse. A new set of interests is needed to fill the gap. Friends and family can help here. Sports, work, education or hobbies can help fill that gap. These often need companions or groups to make them a successful new part of a healthy lifestyle. Freedom from drugs and alcohol can be liberating. With the new freedom comes the challenge to make decisions and choices about one’s life. A sober life full of choices can be a frightening one at first. Work, finances, education, and relationships may all need close attention depending on the impact of the former addictive lifestyle. It may be tempting to avoid the difficult choices by returning to drugs or alcohol. The challenge is to use the new independence to make good choices. Having friends and family who can listen, encourage, and build confidence is helpful. An addict has only one purpose in life, to abuse drugs or alcohol. When this purpose no longer exists, it can be a challenge. It’s not just about finding something to do. It’s about having a reason to be. Some time in recovery has to be found to answer questions about purpose. It may be that it’s about being a parent or caregiver. It could be about creativity or learning. Discovering a purpose is not always easy, even for someone not recovering from substance abuse. It’s really important for the recovering addict because they need to have a purpose that does not revolve around drugs or alcohol. Supporting interests such as meditation, music, art, study, parenting or sport are useful ways of helping an addict discover a purpose for their lives. The rehabilitation process provides help with coping strategies. There is also professional help and advice. This process needs the informal support of friends and family too. If you are helping recovering addicts with their recovery or simply want to know more about recovery from addiction, click here. Inpatient vs Outpatient Rehab in Athens, Georgia: What’s the Difference? I consent to Addiction Care Treatment Program collecting my details through this form.